Ah, a straight razor for a straight-up warrior...who's also pretty dexterous with a razor. And an axe, for that matter. 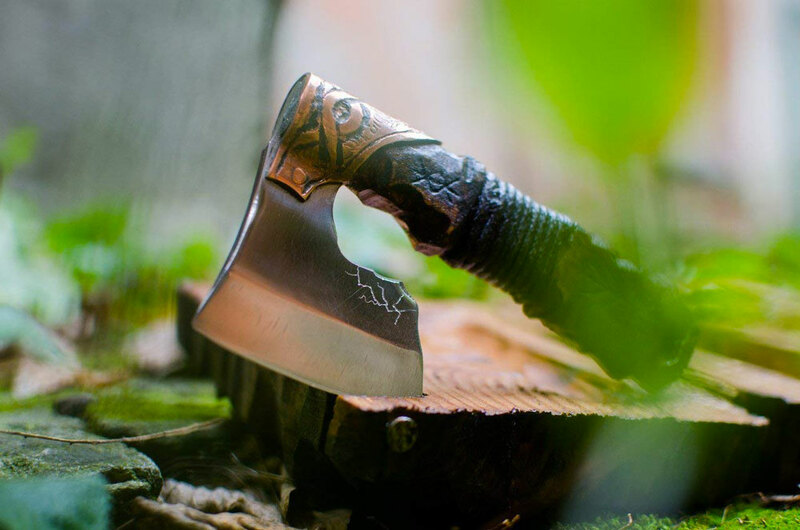 Magic Ethnics' Warrior Axe Straight Razor is a sight for sore Viking / Celtic / Nordic / gamer / cosplayer eyes, but I'd imagine it could also be a source for a sore face if you don't know how to wield the thing properly. 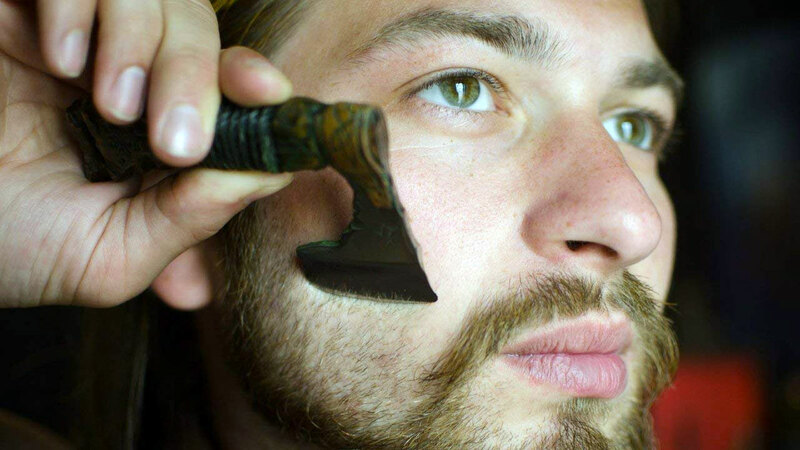 It's either a razor that's been bent sideways 90 degrees, or an axe that's been shrunken down to garden gnome size, and either way, it's going to take some care and dexterity to get a good, clean, bloodless shave using it. Unless you're going all-out warrior with the straight edge and bloodless isn't on the agenda. According to Magic Ethnics, this damn original man gift is a real, sharp straight razor. 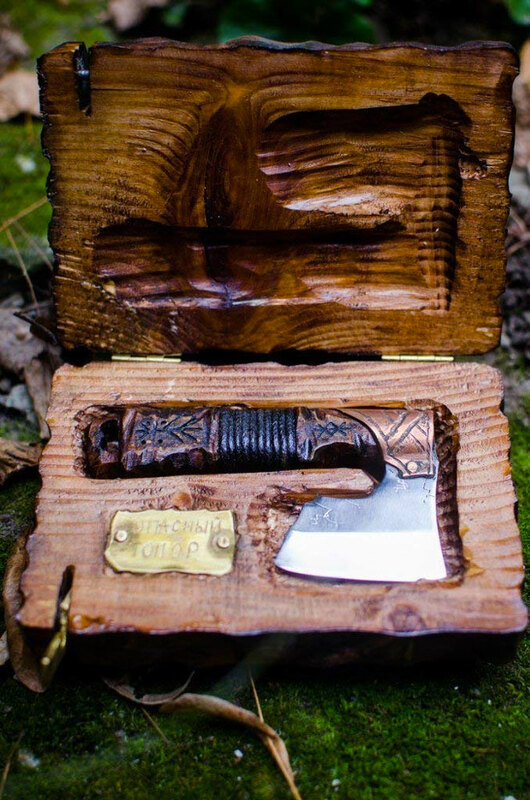 It's made of tempered steel, with a handmade beech wood and copper or brass handle, and handcarved wood display box. 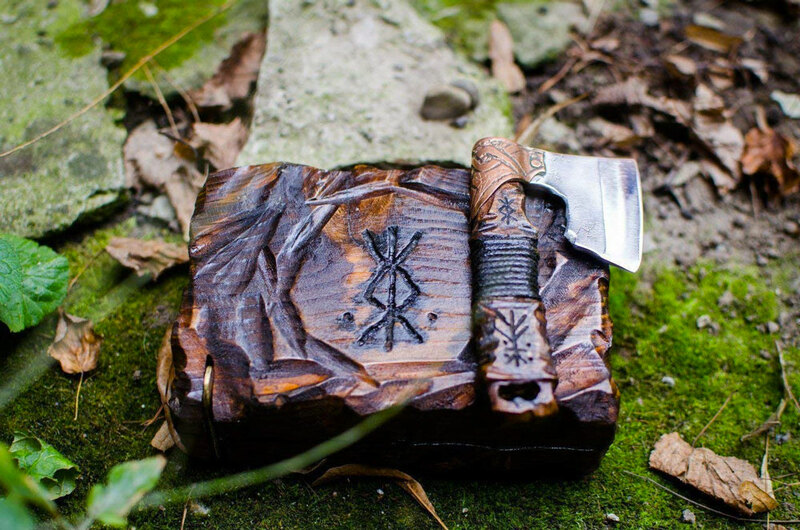 Warrior razor dimensions are 4" x 2".